Themes include Vacation Destination ("A celebrity takes you to Hollywood "), Outer Space ("You get a text from an alien "), Music Mania ("Your song becomes a #1 hit "), and Gross Stuff ("A mouse runs across your pillow "). 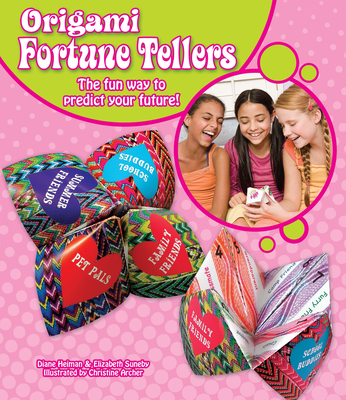 Children can chart their own destinies with three fill-in-the-blanks fortune tellers that allow them to personalize their predictions. Diane Heiman and Elizabeth Suneby are co-authors of See What You Can Be: Explore Careers That Could Be for You!, a Children's Choice Award winner and an official book for 2008's Take Our Daughters and Sons to Work Day. Best friends since college, they both work as marketing consultants.Illustrator Christine Archer has BFA and MFA degrees from Boston University and currently teaches art in Wellesley, Massachusetts.